Alexander Stover (Illinois Department of Corrections photo). Arlington Heights police and Rolling Meadows police went to an apartment in the 300 block of North Salem Avenue last Friday to look for Alexander Stover, a suspect in a bank robbery in Rolling Meadows last Thursday that netted $7,262. 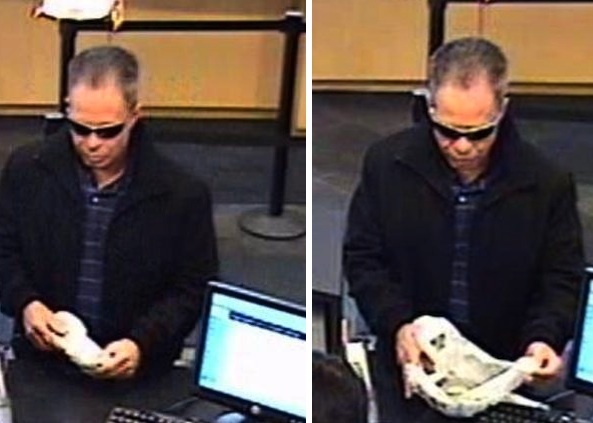 An Arlington Heights police detective recognized Stover out of bank surveillance image circulated by Rolling Meadows Police Department. Stover wasn’t home, but a female at the apartment, identified as a friend, said he had been there and that he had left belongings there. During the visit police noticed sunglasses that matched sunglasses worn by the suspect. Three hours later, Stover was discovered at the apartment wearing the same clothes he wore during the 4:11 p.m. bank robbery of the TCF Bank branch at 1415 Algonquin Road on Thursday. He was arrested and transported to local holding area before he was transferred to the Metropolitan Correctional Center in Chicago. 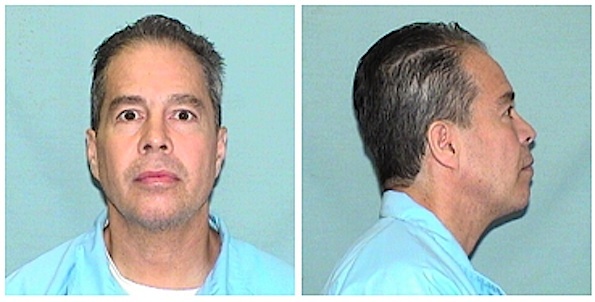 He is scheduled to appear in Cook County circuit court Thursday. If convicted of the latest bank robbery charge, he faces up to 20 years in prison. September 29, 2011 TCF Bank image — suspected match of Alexander Stover captured in Arlington Heights on September 30, 2011. Stover has an extensive criminal history including several counts of burglary including residential burglary, theft, retail theft, possible contraband in penal institution, controlled substance offense, obstructing justice, and aggravated battery/causing great bodily harm.